JERUSALEM, Israel – Monday marks the 16th anniversary of the 9/11 terror attacks on Manhattan's World Trade Center. On that infamous day, people across the globe watched in disbelief as two hijacked jet airliners crashed into the twin towers. A short time later, a third hit the Pentagon and a fourth airliner, headed to Capitol Hill or the White House, crashed in a field in Pennsylvania. Nearly 3,000 people were killed and more than twice that many injured in the deadliest multi-pronged terror attack in American history. Every year on the anniversary of 9/11, Israelis gather to honor the memories of those who perished at the hands of suicidal jihadists. 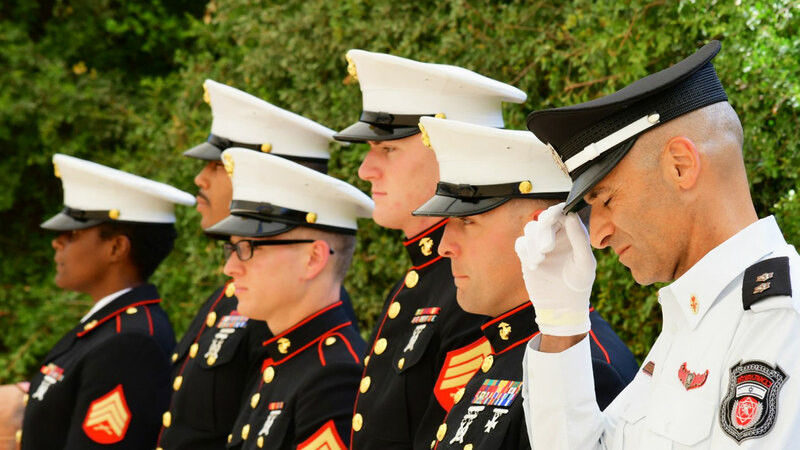 The annual event, sponsored by KKL/JNF (Keren Kayemet l'Yisrael/Jewish National Fund), JNF-USA and the Israeli Embassy, takes place at the 9/11 Living Memorial in the Arazim Valley in Jerusalem's Ramot neighborhood. Speakers at this year's memorial included KKL-JNF CEO Amnon Ben-Ami, U.S. Ambassador to Israel David Friedman, Iowa Gov. Kimberly Reynolds, Jerusalem Mayor Nir Barkat, and Israeli Public Security Minister Gilad Erdan. 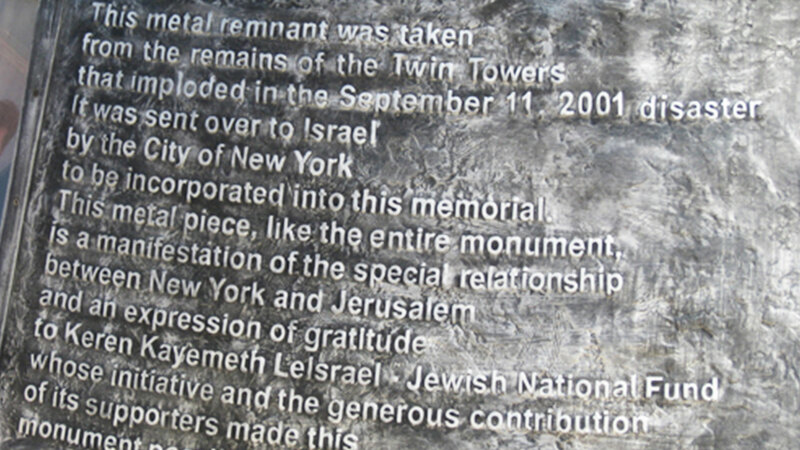 "It is so fitting that the State of Israel is the only foreign nation to erect a 9/11 memorial, which includes the name of every victim lost on that tragic day," Amb. Friedman told participants. "Israel and the United States forever will be joined in the battle against – and ultimately the defeat of – radical Islamic terrorism." Ben-Ami said the monument illustrates the shared fate of the two allies standing together against "the face of radicalism." "The strategic alliance between our two countries is founded on the same values that terrorism is out to destroy: progress, prosperity, morality and peace," he said. Among the U.S. and Israeli delegations taking part in this year's ceremony were representatives of the Texas State Association of Firefighters and a delegation of Israeli firefighters, U.S. marines and law enforcement officers, Nefesh B'Nefesh, the Anti-Defamation League, Young Judaea and students from the Alexander Muss High School. This year, 52 U.S. police officers, who arrived in Israel as part of the Police Unity Tour, attended the memorial. Established in 1997, the Police Unity Tour honors law enforcement officers killed in the line of duty. The Beit Shemesh Police Academy housed the delegation and helped coordinate counterterrorism training exercises during their stay. The 9/11 Living Memorial is the largest memorial site commemorating the 9/11 terror victims outside of the United States. 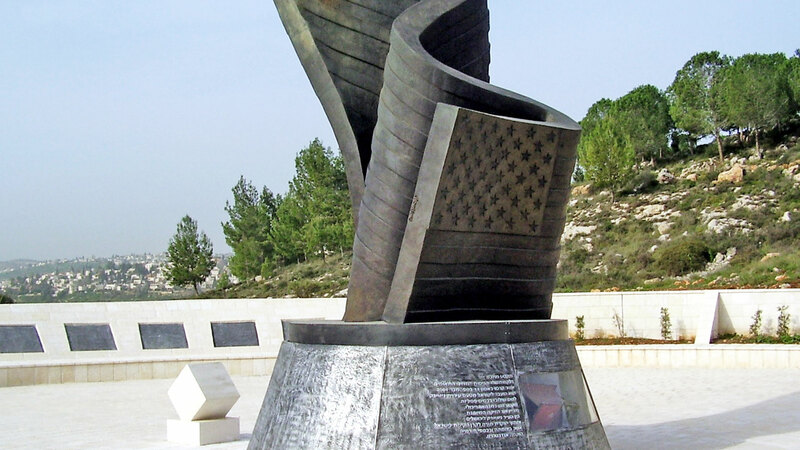 Created by Israeli artist Eliezer Weishoff and KKL-JNF landscape architect Yechiel Cohen, the 30-foot-high bronze sculpture features an American flag folded in the shape of a memorial flame and a metal shard from the ruins of the Twin Towers embedded in the base. «CBN News in a Minute: Today's Top Headlines – September 11.